Contrary to how the word sounds, a pennyweight isn’t a new boxing weight class or a particularly light coin that’s worth next to nothing. It’s actually an important unit of measurement that helps coin dealers—and the folks with whom they work—determine how much their gold and silver is worth. Not very many people know what a pennyweight is or why it’s a useful unit of measurement, which is why a succinct definition is in order. According to Merriam-Webster’s Dictionary, a pennyweight is a “unit of weight equivalent to 24 grains.” If that leaves you scratching your head, it’s probably because no one really knows what a “grain” is anymore. This is an arcane definition that doctors used in the days when bloodletting with leeches was common. In fact, the first known use of the term came way back in the 14th century. Fortunately, there’s a simpler, more common definition for this important unit of measurement: 1.555 grams. Although it’s possible to measure silver and other precious metals in pennyweights, it’s most common to use this unit when dealing with gold. Despite its ancient heritage, many coin and antique dealers still use pennyweights to make offers on valuable items. The story doesn’t quite end there. Even though many dealers use the pennyweight to evaluate old coins and other light items made from precious metals, the actual market price of gold is always quoted in Troy ounces. As such, sellers and dealers need to be able to convert freely between pennyweights and Troy ounces. Since a Troy ounce is about 31.1 grams, it follows that a pennyweight is about 20 Troy ounces. Before you start converting between pennyweights and ounces, it’s important to understand that Troy ounces aren’t quite the same as the “standard” ounces that measure other dry and liquid items. Standard ounces come in at 28 grams or just over 18 pennyweights. However, you’ll probably never need to convert from pennyweights to standard ounces. Now that you’ve learned something about the pennyweight, you might feel more confident about taking stock of your old coins and earning some much-needed cash for gold or silver. As the Buffalo area’s premier buyer of precious metals and antiques, we can certainly help you get a fair value for your valuable possessions. For more information about what we can do for you, call us at (716) 204-8800 or drop by our store in Cheektowaga during regular business hours. If you’re like most people, you have more important things to worry about than the difference between coin silver and sterling silver. Unfortunately, your wallet might not think that this distinction is insignificant. Before you sell or give away your antique silver, you’ll want to learn more about how to tell the difference between these two types of material. Some definitions and valuation tips are in order. As its name suggests, coin silver is the type of material that makes up silver dollars and other pieces of silver currency. It’s a standardized alloy that’s comprised of a very limited number of non-silver metals like copper and nickel. In the United States, coin silver must be at least .900 fine. This means that it can contain no less than 90% pure silver. It’s quite a bit more valuable than other alloys that may contain other metals in higher quantities. Sterling silver is also heavily controlled. With a required purity of at least 92.5%, it’s a bit more valuable than coin silver. Confusingly, sterling silver can be found in some coins, the most famous example of which is the old British pound sterling. Of course, modern British pound coins aren’t made from sterling silver. However, this material can be found in a wide range of antique household items, including cutlery, serving platters and vessels. Since sterling silver always contains 92.5% silver and 7.5% non-precious metals, its value is mainly determined by the worth of the items in which it’s contained. For instance, a rare type of serving set or cutlery could fetch far more than the intrinsic value of its silver. Potential imperfections in such items’ manufacture may increase the value of sterling silver even more. Whether you’re an avid collector of antique silver or have a handful of family heirlooms that you’re looking to value, it’s critical to know the difference between sterling silver and coin silver. If you’re looking for more guidance on this distinction or any other aspect of the silver valuation process, Premier Gold Silver & Coins is happy to help. Simply stop by our convenient Cheektowaga location or call us at (716) 204-8800 to discuss your needs. 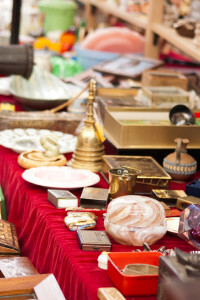 Families often use estate sales to sell belongings after death or divorce vacates a home. If you find yourself in this situation, it may seem wise to save money by setting prices and holding your own sale. Unfortunately, this approach can lead to a range of costly and time-consuming problems. Estate sales call for a different pricing strategy than Internet auctions or lawn sales. Some people mistakenly set high prices that only a few distant collectors would pay. They usually fail to attract such buyers to their homes, so the items don’t sell. Other sellers demand unrealistic sums because they remember paying retail prices. Worse still, you may ask far too little for an item. You can easily assume that an old ashtray or clock doesn’t hold much value, but this isn’t always true. A used book that you sell for $1.50 might end up on “Antiques Roadshow.” With the help of price guides and various other resources, estate evaluators can prevent these expensive mistakes. Estate sale companies use newspaper ads, websites and professional signs to attract customers. Many firms maintain large email lists that help them notify buyers of upcoming sales. If you decide to hold your own sale, you’ll have to pay for advertising with no guarantee that it will produce the desired results. It might take several days to research, price, label and arrange the contents of an entire home. Many people consider this an emotionally draining process. You will also have to write advertisements and put up signs. It may prove difficult to set aside enough time for these tasks, especially if you have a busy schedule. Another disadvantage of holding your own sale is that it raises the risk of theft. Elder Options warns that some thieves target estate sales when people try to sell gold jewelry, antique stamps or valuable coins. You can easily watch a few tables at a yard sale, but it’s hard for one or two individuals to keep track of every item in a house. When sales end, owners are usually left with possessions that no one wanted to buy. Professional estate liquidators often purchase, donate or dispose of the unwanted merchandise. Premier Gold Silver & Coins can help you gain adequate compensation for your family’s belongings. Our experienced staff appraises individual items and entire estates in the Buffalo, NY, area. Furthermore, our personal asset brokerage maximizes the selling prices of high-value items by identifying ideal sales venues. To get started, please call 716-204-8800 today, or visit us online. The price on silver sits near an all-time high, and millions of Americans are thinking about trading in their old coins to take advantage of it. However, the value of a silver dollar—and any other coin made from the material—is dependent on far more than the intrinsic worth of its components. Before you sell your silver dollars to the nearest pawn shop for a fraction of what they could be worth, consider the factors that may enable you to maximize your investment. What’s the Current Price on Silver? Although the price of silver fluctuates on a daily basis, it has been trending upward for some time. Over the past several years, it has ranged around $20 per ounce and remained far above its long-term levels. 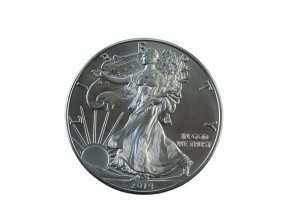 This has created opportunities for owners of silver currency, including silver dollars. There’s always some uncertainty in the market, and silver’s price could decline in the coming years. However, experts don’t believe that this is likely. • Peace silver dollars were minted between 1921 and 1935. They feature a distinctive bust image on the front and a bird image on the back. As we’ll see, the price of these coins is highly dependent on their condition, mint date and potential rarities. • Morgan silver dollars were minted between 1885 and the 1930s, but the most valuable were generally produced before 1921. Due to the Morgan dollar’s long production window, it’s imperative that owners speak with an expert to determine the value of their holdings. • Other types of silver dollars and silver coins may have value beyond their component materials as well. Coins made in specific years or with specific features can be shockingly valuable. For instance, Peace coins from 1921 and 1928 are very rare and thus highly valuable. A 1934 Peace coin with a distinctive “double die” minting error is quite valuable too, and the uncirculated 1934-S version is nearly priceless. Whether you’re looking to determine the value of a potentially priceless coin or wish to learn more about the family heirlooms that you’re just getting around to archiving, at Premier Gold Silver & Coins, we’re happy to put our combined decades of gold, silver and antiques experience at your service. To learn more about how to get the most for your precious metals collection, take advantage of the current price on silver or see some of Buffalo’s finest valuables, call (716) 204-8800 or visit our Cheektowaga location today. Fine gold, also known as 24-karat gold, is a remarkably dense and heavy metal, but it’s also extraordinarily soft. It’s so soft that you can make an indentation in it with your teeth, and that’s exactly how people in ancient times tested coins that appeared to be made of gold to certify their purity. Lacking more advanced technology, it really wasn’t a bad way to go about doing business. Gold Is a Girl’s Best Friend? Gold is favored by fine jewelry designers and manufacturers due to its superior luster, malleability, and versatility. While more gold is used for the creation of jewelry than any other purpose, jewelry worn on an everyday basis that was made of pure gold would look like it had been through the ringer—literally—after a very short period of time. For this reason, gold is blended with other metals to create a metal amalgam called an alloy. Alloys are created when less expensive metals are combined with precious metals to give the blended metal certain properties, such as increased hardness and strength, and also to lower its overall cost. Since gold is alloyed to make it practical to use in jewelry, your 10-karat gold pendant that weighs two ounces will consist of a substantial amount of other metals, so it will literally not be worth its weight in gold. Certain combinations of alloys will create tinted gold in an amazing rainbow of colors, including pinkish rose, blue gold that can be icy or almost cobalt in color, pale yellowish to deep grassy green, and luminous purple the color of amethysts. White gold is increasingly popular, and black gold—not the kind that comes out of the ground in Texas—is another surprising and striking alternative that was more recently developed. Gold is not very chemically reactive, and pure gold will not corrode, oxidize or tarnish. There are few chemicals that will dissolve this most useful metallic element, and neither humidity nor salty sea air will affect it in any way. These properties make it an ideal material for electronics that must reliably conduct electrical currents over a long period of time. Nearly every electronic device produced today contains a small amount of gold. The computer you’re using right now to read this was manufactured using a teensy bit of gold in its circuits, wires, and relays. While 24k gold jewelry is rare, pure gold actually has many fascinating uses unrelated to jewelry. Some upscale beauty product makers mix gold into their skin and makeup formulations. The space program uses gold, and so does your dentist. Your doctor even prescribes it in medicines. Coins and bars are minted for investment purposes, and gold flake is incorporated into certain alcoholic beverages and extravagant food preparations. For the record, you can consume pure gold without harm because it’s chemically inert in any of the biological processes that take place in your digestive system. Bon appetit! Are you looking to sell your gold? Stop by Premier Gold Silver & Coin at our Cheektowaga, NY, location for a free appraisal today. You can also contact us online. Is Gold an Extinct Species? Where did all of this shiny stuff come from? While scientists don’t yet have a firm grasp on how the gold that exists in the universe was created, it has been proposed that the collision of two super-dense neutron stars could result in the production of massive amounts of gold. It seems that these cosmic fender-benders likely splattered the universe with wreckage of up to six moon-sized masses of the gleaming yellow metal per crash. All of the earth’s elemental gold sunk to the core during the formation of the planet and will stay there, forever irretrievable by you or anybody else due to the extreme technical difficulty involved in breaching the earth’s thin crust, let alone the 1,800-mile-deep mantle. The planet’s oceans are estimated to hold nearly 20 million tons of dissolved gold, but unless you’re finally able to develop an economically feasible method to recover those exceedingly diluted particles, that gold also can’t be used to fund your retirement. Nearly all of the gold and other precious metals that exist in the earth’s crust arrived via meteorite bombardment approximately 3.9 billion years ago. You’re probably also not aware that there’s only a meager 0.004 grams of gold per ton of the Earth’s crust on average. That’s a tiny amount only about double the weight of one grain of salt. Although there’s some debate as to the exact earliest recorded discovery and use of the uber-malleable metal, gold has been mined for well more than 6,000 years and possibly up to as many as 8,000 years ago. The best and most recent—albeit still hotly debated—calculation is that there’s been 171,300 metric tons of gold mined since the emergence of human civilization. All of the gold produced in the known history of mankind would fit into an amazingly small cube of about 67 feet per side, which is probably significantly smaller than the last office building you entered. Has the world finally reached peak gold? Does this combination of factors mean that the human race is in danger of running out of gold in the future? While certainly possible, it’s not likely to happen anytime soon. One factor to consider is the recyclable nature of the gold that has already been mined and currently resides in bank and government vaults throughout the world. Unless the human race takes it back to the stars, any existing gold is unlikely to leave the planet in a measurable amount. It’s estimated that up to one billion troy ounces of gold are lingering unmined, tucked away securely in the deepest recesses of the planet’s outermost layer. These reserves, while still plentiful, are not without limit, and the shiny stuff that remains will surely not be extracted from the earth nearly as easily as in the past. With global demand for gold setting a new record last year, the price of the world’s favorite elemental metal will likely not remain at its presently reduced level for long. Do you want to find out how much your share of the planet’s most valuable metal in history is worth? Premier Gold Silver & Coins can help. Stop by our Cheektowaga, NY, offices today for a free appraisal. Are Foreign Coins a Better Investment? Collecting coins can be a solid investment, especially if you choose coins from a country that backs them. For example, in the U.S., an ounce of gold will always be worth an ounce of gold, regardless of what happens to the value of the U.S. dollar. However, maintaining a specific monetary value is not always the prime goal of coin collectors. Instead, many people choose to purchase foreign coins that have symbolic personal value, and these items can become a family heirloom. With these options in mind, it’s important for collectors to decide whether they’re more interested in the potential future value of their coins or what each coin represents in their personal life. What Type of Coins Should I Invest In? If you’re interested in turning your coin collection into an investment opportunity, you will need to research which coins have the highest value within your budget range. Additionally, if you make the decision to purchase primarily gold coins, it’ll be necessary to determine the proper time period for each country. For example, the vast majority of modern gold coins from the U.K. are actually made from a mixture of materials, and there are also some older coins that look like gold but were made with brass instead. This can become extremely problematic when it’s time to sell your collection, especially if you’re looking into gold buyers instead of a coin shop. When you consider the fact that the perceived value of coins can drop drastically based on the economy, it’s almost always a better choice to invest in gold coins because they’ll retain a higher resale value. Individuals who are more interested in creating family heirlooms should consider looking for coins from the countries of their family’s heritage. In other words, if someone has Irish, English and Norwegian in their family line, they could create a collection based around coins from these three countries. This can be a very interesting hobby because it’ll expose you to a variety of designs and metals. However, it’s still a good idea to purchase gold coins whenever possible because you could end up selling if you ever face a serious financial crisis. 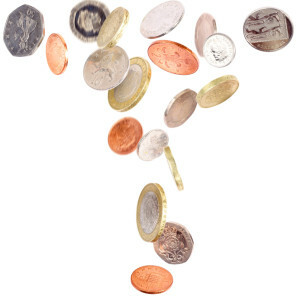 Ultimately, the decision of whether or not to collect foreign coins needs to be based around your specific goals. Keep in mind that some countries have a much higher dollar value than the U.S., and this can be helpful if you’re planning to sell your coins to a collector in the near future. It’s also important to note that the value of each coin will vary from collector to collector due to their personal interests, regardless of the precious metal weight of each piece. Fortunately, anyone in the Cheektowaga, NY, area can turn to Premier Gold Silver & Coins to save time and money during the sales of process of any gold coins. When you sell precious metals, the weight can be measured using a variety of units. This can be confusing when trying to compare rates to determine whether you’re getting the best deal. An explanation of the different units can help you when it comes time to sell your gold, silver or platinum. An ounce is a standard ounce, and there are 16 of them in a standard pound. If you have a typical U.S. digital scale, such as a postage scale, you can still weigh your precious metals on it, but since most gold buyers use grams or troy ounces, you’ll need to convert the weight. A gram is a unit of weight under the metric system. One gram equals approximately 0.03527 ounces. To put it another way, one ounce is the equivalent of 28.349 grams. A troy ounce equates to approximately 31.1 grams. Just to make things a little more confusing, a troy pound consists of 12 troy ounces, which means that it takes more than 14 troy ounces to make a standard, or imperial, pound. A pennyweight is a unit of measure that’s not as popular as it once was, but you may still encounter it when reviewing rates. One troy ounce equals 20 pennyweights, and one pennyweight equals approximately 1.555 grams. To demonstrate the differences between the various units of weight, suppose you use your postage scale to weigh the scrap jewelry you’re planning to sell. You separate everything by karat, because the rates depend on the purity of the gold—24k gold is “pure” gold, 14k gold is 14 parts gold and 10 parts “filler” metal, and so on. To keep the math simple, let’s assume that the gold buyer is paying $100 per troy ounce. Your three ounces of gold would net you $273.44. If the unit was the standard ounce, the same weight would yield $300. Now let’s assume that the buyer’s quote is in grams at $3 per gram. Your three ounces of jewelry would be worth $255.15. If the quote were $3 per pennyweight, the same three ounces would only bring $164.06. When you sell your precious metals, you need to make sure that the buyer uses the same unit to weigh your items that they use to calculate your payment. For example, they can’t weigh it in pennyweights and then pay you per gram unless they convert it properly. You should also make sure that each karat value is weighed separately and your payment is calculated accordingly. If you’re in the Cheektowaga, NY, area and would like more information on selling your precious metals, contact Premier Gold Silver & Coins. We offer the highest prices, and since our valuation process is completely transparent, you won’t ever have to wonder whether you’re being swindled. 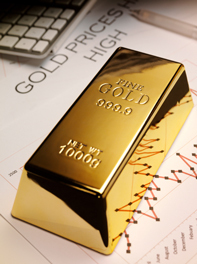 Let our friendly professionals help you appraise your gold today. Can you really cash in on pennies? 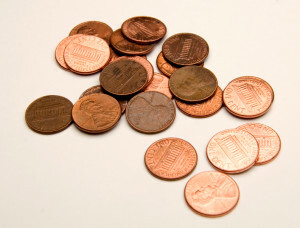 Before it switched to zinc in 1982, the U.S. Mint primarily used copper to manufacture pennies. High metal prices mean that the copper in an old penny sells for about two cents. Some Americans hope to make money by collecting pre-1982 coins and melting them down. However, a recent federal law makes this rather difficult to accomplish. In December 2006, the U.S. Mint announced its new rules on pennies and nickels. It warned that melting coins or exporting them in large quantities is forbidden. If you bring cash to another country, a $5 limit applies to these coins. You can mail up to 10,000 pennies overseas, but a legitimate collector must purchase them. People may face serious consequences when they break the law. If you illegally melt or export coins, the federal government can put you in jail for up to five years. You might have to pay a hefty fine as well: the maximum penalty is $10,000. Police also have the right to confiscate copper, zinc or nickel derived from these coins. Why does the government consider coin melting such a serious crime? Federal officials warn that it could cause money shortages and increase production costs. The U.S. Mint spends over two cents to strike each penny, so the public must pay a considerable amount of money to replace coins that people destroy. Nonetheless, potential earnings have enticed some Americans to collect thousands of pennies. If you can gather 5,000 pre-1982 coins, the metal would be worth about $100. Internet auction bidders often spend 1.3 to 1.9 cents for each vintage penny, but fees and shipping costs eat into the profits. 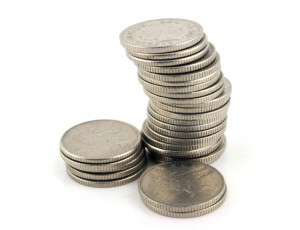 As DailyFinance points out, it remains legal to melt Canadian coins in the United States. Canada’s mint continued to produce copper pennies until 1997, and the country recently stopped making one-cent coins. You can easily find Canadian pennies in most northern states. However, it could take years to collect a significant number of them. Some collectors predict that the U.S. will follow Canada’s lead and abolish the penny. In late 2011, ABC News reported that U.S. officials were considering major changes to the nation’s coin production policies. It also revealed that many wealthy investors have spent thousands of dollars to buy pre-1982 pennies in bulk. Penny hoarders believe that melting will become legal if the U.S. Mint stops making these coins. This remains possible, but it could take any number of years. For now, the best way to gain extra cash is to sell your unwanted gold and silver. 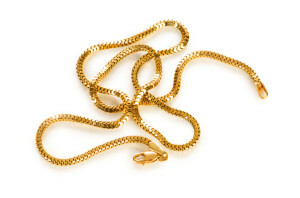 Our gold-buying experts offer fair prices for all items that contain precious metals. To discover the value of your old jewelry or bullion, please visit Premier Gold, Silver & Coins at 4208 Union Road in Cheektowaga, N.Y.
Will Great Grandmother’s Silver-plated Tea Set Finance a Vacation? Nothing is quite as thrilling as coming across an old family heirloom during a long-delayed round of spring cleaning. But before you jump for joy at the sight of great-grandmother’s old silver-plated tea set, you might need a reality check about the actual value of certain antiques. After all, items made from precious metals aren’t always worth their weight in gold or silver. What’s the Market Value of Silver and Gold? While watching day-to-day fluctuations in precious metal prices is enough to make your head spin, it’s easier to identify broad trends over longer periods of time. Most importantly, long-term economic uncertainty has supported gold and silver prices since the financial crisis of the late 2000s, and prices look likely to remain steady or rise as time goes on. Precious metals are widely touted as a hedge against inflation, so collectible items that contain large amounts of high-quality gold and silver can serve as alternative investment vehicles as well. At the same time, many laypeople overestimate the value of items that contain some gold or silver. Silver-plated kitchenware antiques, including tea sets and serving platters, often contain small bits of valuable metal around a more “ordinary” core. Even if they’re quite substantial, silver-plated antiques aren’t likely to be worth much on the scrap market. Any silver in an old tea set or serving platter is likely to be concentrated in a razor-thin layer at its surface. At most, this material might command a few dollars after being melted down. However, the cost of removing it from the underlying material usually offsets a lot of the potential payoff. It’s fair to say, then, that silver-plated items are far more valuable as collectors’ items than as scrap. Once you’ve made the choice not to melt down great-grandma’s old tea set, you’ll need to determine exactly how much it’s worth. You can make a preliminary accounting of its worth by identifying its manufacturer, determining its exact production date and researching its background for attributes that might make it more attractive to collectors. However, figuring out how much your item “might” be worth isn’t enough. Our personal asset brokerage services can help you maximize the value of your heirloom and ensure that you do well by the memories of your loved ones. Whether your great-grandmother’s silver-plated tea set is worth a fortune as a collectors’ item or would be better served staying in your family home, it’s important to work with a trusted authority who understands the value of antiques and collector’s items. With a century of combined experience, our precious metal experts are happy to give you a fair, honest assessment of your items’ value and help you choose the right course of action. Give us a call at (716) 204-8800, visit us online or drop by our convenient Cheektowaga location to learn more.